Conceptual album. 2007. 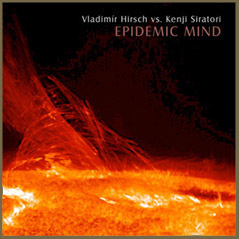 Musicians: Vladimír Hirsch - composition, all instruments, programming, Kenji Siratori - lyrics, voice. 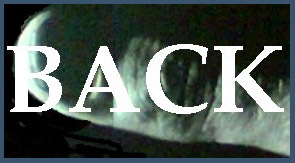 Album in specific composer´s cosmogonic athmosphere with inner atonal molodic chaos, but against the background of fateful rhythms, creating with with machine-like declamation general impression of apocalyptically monitory, expressive message. Mass for integrated ensemble and female vocal, op. 59, 1999. 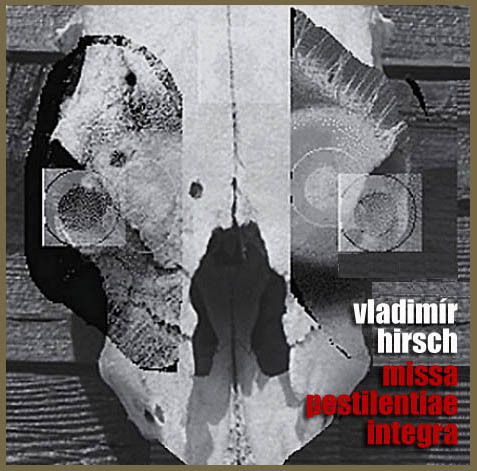 Adaptation of Diamanda Galás album "Plague Mass"(1990, Mute Records) in arrangement and concept of Vladimír Hirsch, supplemented by a few original compositions. Musicians: Diamanda Galás: vocal, pianor, Vladimír Hirsch: organ, synthesizers, noises, drums, David Linton: percussions, Blaise Dupuy: keyboards, Ramon Díaz: electronic percussions, Michael McGrath: tapes. It is a nesting in of authentic parts of Diamanda Galás’ „Plague Mass“ into an integrated composition, supplemented by a few shorter compositions and conceived as an authorial partnership. The album is adapted into the formal structure of a classical mass with all liturgical parts.